The timing for Nimble Quotes works in a few different ways. 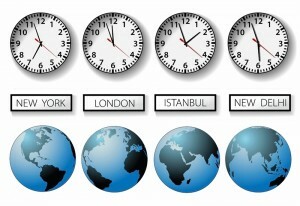 Have an audience or want to build an audience in a different time zone than yours? Choose that time zone. You decide if you want quotes (from 1 – 8) in your Twitter feed 7 days a week, only on weekends or just Mondays. Choose any other combination that works for you. If the 24hr window is too much, you can change it. Our most popular time window is between 7am – 10pm, but remember – people all around the world are interested in the subjects you tweet about, consider opening your time window to 24hrs. It is always your choice, so simply set the start time of your window, and end time. Your quotes will only appear during this time. Would you rather your quotes go out at very specific times during the day? Choose exact times, down to the minute. This one has become a real hit. Pause your quotes at any time. Resume at any time. No need to reschedule a thing. Use this when you’re ready to tweet live from an event, join a tweet chat or get into a conversation with someone on Twitter. Nimble Quotes will never interrupt you. As with any Nimble Quotes setting, change them anytime. Come on over and give the 30-day trial a spin. Not ready – sign up for our newsletter. To see how Nimble Quotes look when used on an active Twitter account, check out @jenkellyjen or @newimarketing.